Werner is inspired by a variety of modernist and expressive artists, including the Bay Area Society of Six, Tracy Taylor Grubbs, and Richard Diebenkorn. She has studied painting in California since 1995, favoring subjects with underlying personal symbolism. When not painting, Werner relishes life in northern California with her family and practices landscape architecture. 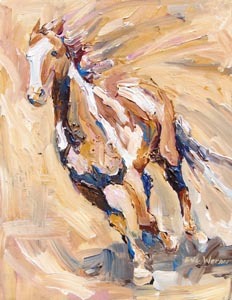 Her art is found in private collections throughout the United States.